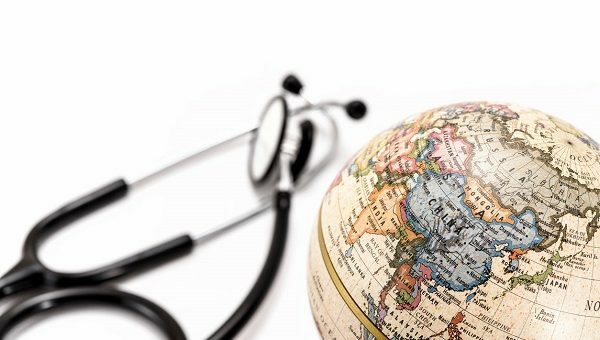 The factors shaping the healthcare landscape in emerging markets require pharma to take a different approach to how it works in more developed economies. Andrew Lane highlights the challenges and the benefits in these upcoming nations. Healthcare in emerging markets is changing rapidly. We’re witnessing rising numbers of people and ageing populations, alongside increasing incomes and a quickly expanding middle class. In addition, urbanisation is leading to more sedentary lifestyles, which mean chronic diseases, like obesity, diabetes and heart disease, are on the rise. All of these factors result in unmet healthcare needs and pressure on healthcare systems. Providing healthcare to people in these countries requires a deep understanding and a different approach to that taken in the US or Western Europe. Over the next decade, the top 20 emerging markets are expected to double their spending on medicines. But, more importantly, four of the world’s seven billion people live in emerging markets. That’s a lot of people who need quality, affordable medicine to help them get, or stay, healthy. So what factors are shaping the healthcare landscape in emerging markets, and what does this mean for pharmaceutical companies? From a disease prevalence point of view, along with the well-known infectious disease burden, chronic illnesses are rapidly increasing. For example, the incidence of diabetes is expected to accelerate in many emerging markets. The International Diabetes Federation estimates that 66.8 million Indian adults were living with the disease in 2014 and it forecasts that that number will rise by 63%, to 109 million, by 2035. In addition, projections suggest that, by 2020, the burden of cardiovascular diseases in India will surpass that of any other country in the world. These are all areas of huge potential where health education, as well as affordable medicines, is needed greatly. Quality of medicines is a key consideration in emerging markets. Developed nations, like the US, have strict quality regulations that must be met before a medicine can be sold. But this isn’t true everywhere. In some emerging markets there may be up to 60 companies making medicines with the same molecule, all with varying quality levels. And, while regulations on quality are increasing, they are developing at different rates. As a result, patients still look for trusted companies and brands that deliver quality medicines consistently. People in emerging markets primarily pay for their own healthcare. In Russia, for example, this applies to two-thirds of the population, which means people shop for medicines like consumers. Added to this is a growing middle class who are willing to pay a small premium for quality medicine. Three out of four urban households in China will be considered middle class by 2022 – that’s a large patient population which needs access to quality, affordable medicine. Therefore, patient choice is critically important. People choose affordable medications that provide the best outcomes for them. They have the freedom to choose medications they can trust and that may add value in other ways. A patient today is not looking for a prescription alone. Added value is something they take into consideration when choosing a medicine. If a product offers additional value, in the form of convenience, user-friendliness, better flavour, better packaging or ongoing support, while still being affordable, people are more likely to choose it. It is therefore important for companies to provide added value and be part of the patient’s holistic journey towards living a healthy life. With many people spending their own money on healthcare, they typically have more control over the brands they choose to buy at the pharmacy. This makes pharmacies and pharmacists extremely important. Many patients treat their pharmacists as a health counsellor, much more so than in developed countries. An understanding of pharmacies is therefore critical to succeeding in these markets. Some key characteristics of emerging market pharmacies are their smaller store footprints or sizes. Many are cluttered with a large number of brands and products, and can have high patient flow, depending on location. They are also heavily reliant on their staff, with limited computerisation, especially in the semi-urban and rural areas. GDP growth in emerging markets has major implications for the healthcare sector. Rising per capita income has a direct impact on the spending power of the consumer, which, in turn, has a bearing on healthcare growth. Increased government spend on healthcare is likely to improve healthcare infrastructure, leading to better access. Improved literacy levels, with already high penetration of mobile devices and internet, will bring better public awareness. This will change consumer expectations and, as a consequence, companies will have to ensure more holistic offerings. Companies operating in emerging markets must have flexibility and the ability to listen to the market in order to provide solutions that meet the needs of people who want to stay, or get, healthy. To achieve this, an insight-driven, local approach is needed. Having the ability to listen to patients, doctors and pharmacists on the ground provides valuable insights into their needs. These insights can then be linked with available technologies to create medications that match the needs of the patient and their doctor. 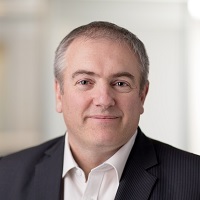 Andrew Lane is Executive Vice President, Established Pharmaceuticals, leading Abbott’s branded-generic medicines business. He took this role in March 2017. Prior to that, he had been Senior Vice President, Emerging Markets, and Divisional Vice President, Asia Pacific, for Established Pharmaceuticals. Before joining Abbott, he was Vice President of Asia Pacific at Takeda Pharmaceuticals. During his 20-year career in emerging markets, he held country and regional positions at Nycomed, Invida, DKSH, Novartis and Sandoz, working in the proprietary and branded generics pharmaceuticals businesses. He studied at University of Technology, Auckland, New Zealand, receiving diplomas in Business Management and Accounting.